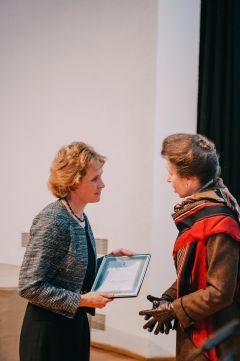 The British Nutrition Foundation Prize for outstanding achievement in nutrition was presented this week to Professor Susan Jebb, Professor of Diet and Population Health in Oxford University’s Nuffield Department of Primary Care Health Sciences. 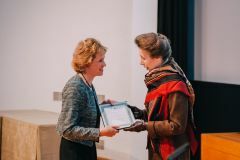 "I am delighted to receive this award which follows in the footsteps of so many nutrition scientists whose work has been so inspirational to the field." 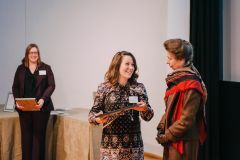 Dr Carmen Piernas, a Research Fellow in the department, was awarded a BNF Drummond Pump Priming award at the event. The £5000 award is designed to help newly-appointed university lecturers and research fellows in human nutrition to undertake pilot projects. 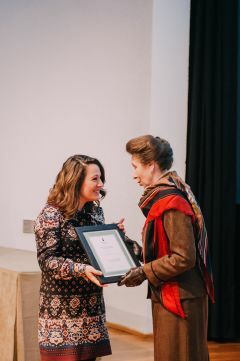 “"This funding from the BNF Drummond Pump Priming Award, for which I am most grateful, will support me in obtaining significant preliminary data which will shape my plans for obtaining competitive funding to develop scalable interventions to support dietary changes for the prevention of obesity and cardiovascular disease." More information about Dr Piernas’ project can be found here.